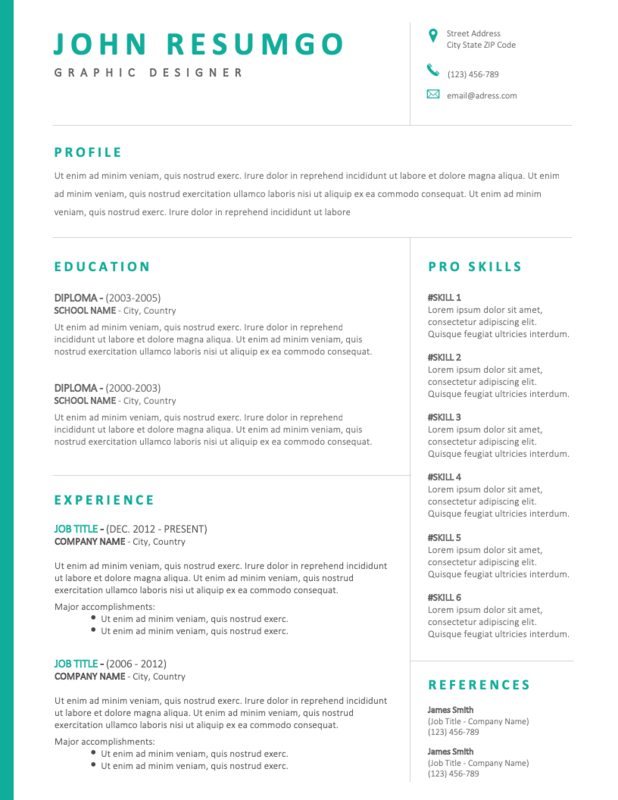 Bakchos is a free professional resume template. Two-column layout, with a subtly modern design with green (teal) elements. The simplicity yet modern touch comes from the refined full-height green border on the left. Each part/category is separated with light gray vertical and horizontal lines. Also, to be noticed, the skills part is very smart and uses description text placeholders rather than infographics.